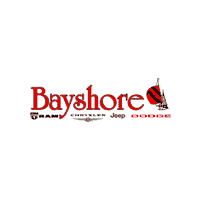 By submitting this form you agree to be contacted by a Bayshore Chrysler Jeep Dodge staff member. Drivers in the Lone Star State tend to have a lot of options for car dealerships, but here at Bayshore Chrysler Jeep Dodge, we think we do things a little differently than those other dealerships, and this isn’t just us tooting our own horn; just check out what makes Bayshore Chrysler Jeep Dodge different from the other guys. Our team brings over 120 years of combined automotive experience to the table, and with a robust inventory flush-full of new Chrysler, Jeep, RAM, and Dodge models near Deer Park, TX, quality pre-owned vehicles, and a state-of-the-art service facility, we’re ready to be your one-stop shop for all your automotive needs, big and small! When you choose us as your Deer Park Dodge, Chrysler, Jeep, and RAM dealer, we think you’ll quickly notice that we’re not simply here to sell you a car—we want to connect folks from Pasadena to Mont Belvieu with the right vehicle for all of their needs. For some, a new Dodge car is just what they need to take on the Deer Park streets and for others, the added off-roading capability of a new Jeep brand vehicle hits the mark—perfect for getting out to the outdoors for a weekend. Other folks find their daily driving needs are better met by the family-friendly Chrysler Pacifica minivan, while others still need the hard-working, never-quit attitude of the RAM truck lineup. Whatever you need in your next new vehicle, you’ll find yourself well met here at our dealership when you browse our new inventory. Bayshore Chrysler Dodge Jeep Ram is proud to be the Dodge Ram Chrysler Jeep dealer near me in the Deer Park area. Contact us today for exceptional deals on new and used Dodge Ram Chrysler Jeep cars, trucks, SUVs and minivans near me, as well as Chrysler Jeep Dodge Ram service, repair, maintenance, parts & more. Plus, don’t forget to ask about our Chrysler Jeep Dodge Ram financing, lease deals & special offers. Finding reliable Chrysler Jeep Dodge Ram car and truck oil changes, battery replacements, and scheduled service doesn’t have to be difficult. Bayshore Chrysler Dodge Jeep Ram’s service department employs only Chrysler Jeep Dodge Ram certified mechanics and technicians in our Bayshore area service center. Drop in anytime. For added convenience, we encourage our customers to call ahead or schedule online. Have you been to Bayshore Chrysler Dodge Jeep Ram’s leasing or financing department? If not, you’re probably missing out on some of the best Chrysler Jeep Dodge Ram lease and finance offers available in your area. Don’t miss your chance to save big. Contact the Bayshore Chrysler Dodge Jeep Ram finance department today and find the deal you’re looking for. Whether you’re looking for Chrysler Jeep Dodge Ram sales, service or finance, stop by our nearby dealership today. We are located at 5225 I-10 East Baytown, TX 77521. Make an appointment online or call today.